The gorgeous Blooms and Bliss DSP and matching Blooms and Wishes stamp set are recent additions to my craft room but the moment I got my hands on them I fell in love. 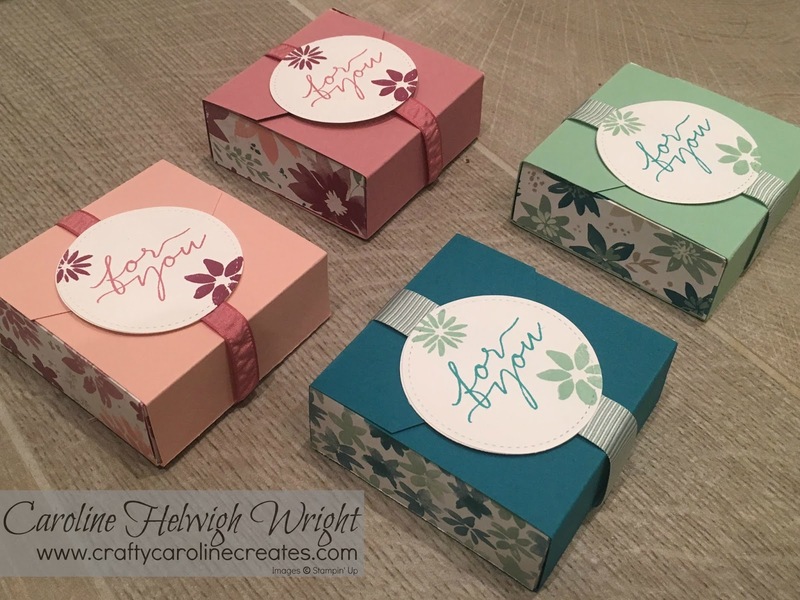 I am so pleased with how well they went together to create these gorgeous gift boxes which I sent out to all my November Stampin' Up customers. The Stitched Shapes Framelit Dies, I used for the centre circle on the belly band were so popular when they launched that they are currently unorderable until stock levels are built up again - currently estimated to be mid-January. 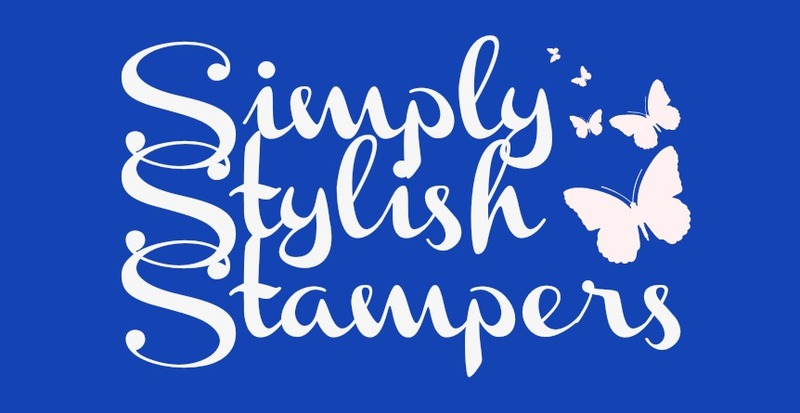 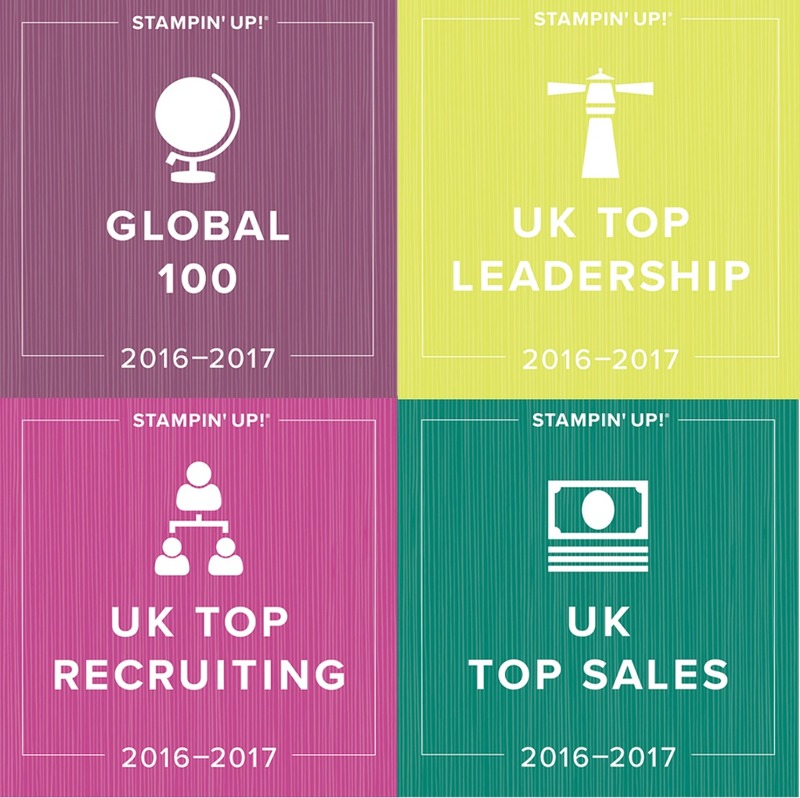 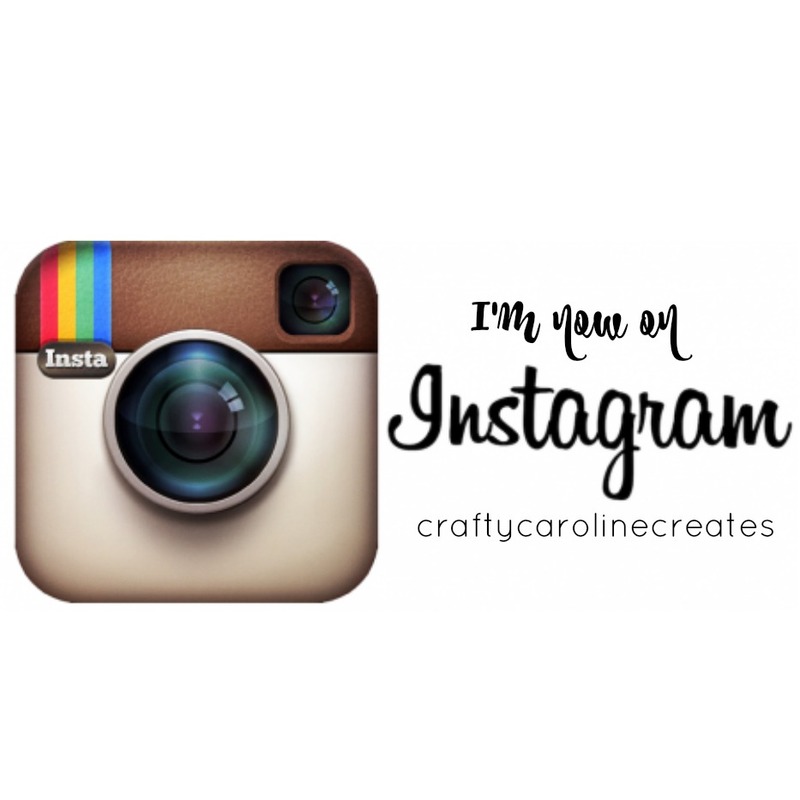 I am truely so grateful to everybody that chooses to order Stampin' Up products from me and hope the little gift I send out every month goes a little way to showing that appreciation. 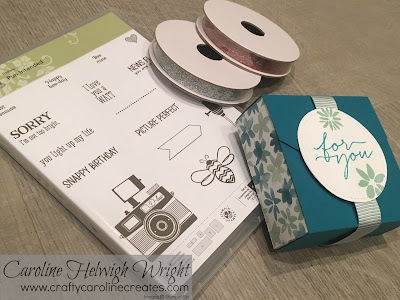 This month, everybody who had shopped with me in November recieved a copy of the fun Pun Intended stamp set and two reels of gorgeous glitter ribbon - this ribbon is so lovely in real life, it is so glittery, my 4 year old daughter loves it and it keeps disappearing into her room! 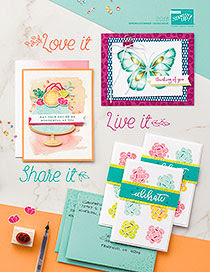 It is actually reduced in the current Close Out sale - so stock up at a bargain price before it goes forever.